Launched in March 2018, Neubria® entered the UK’s health & wellbeing market with a range of products catering to different areas of personal health, each with their own bespoke functional benefits. 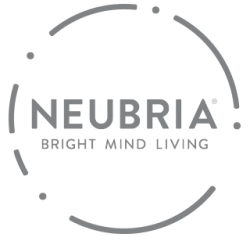 The Neubria range was formulated by a Scientific Advisory Board consisting of leading experts in the fields of neuroscience, human performance, medicine and nutrition. Collectively, they’ve created a range including the finest botanical complexes with premium quality vitamin and mineral blends. With a growing customer base, Neubria® is destined to become a key player in the sector.